Educational talk as introduction into the amazing World of Bats. Vine a descobrir els muixirecs que viuen a Barruera, farem tallers, anirem a observar-los i a escoltar-los i aprendrem curiositats sobre aquests animals. Educational talk. A one-day event for anyone involved with bat monitoring and care. We'll visit a winery (Ferrer-Gallego et al) concerned with the role of bats in battling bugs in vineyard ecosystems. This event includes a tour of the winery, wine-tasting and a cocktail dinner, followed by a bat box workshop and a bat survey with ultrasound detectors. 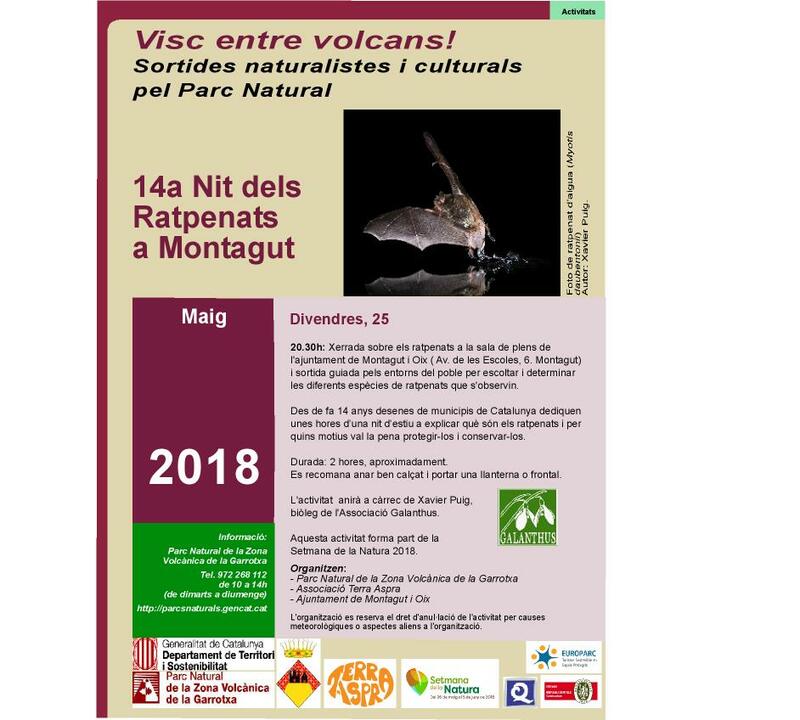 Organiser: Consorci del Parc Natural de Collserola, Centre Cívic l'Elèctric, La Fàbrica del Sol i Casal de Barri Can Rectoret, Museu de Ciències Naturals de Granollers. Talk about the biology and behaivour of bats. A little walk to listen and observe some bats during the sunset time. Exposición y ruta para la observación y escucha de murciélagos. Organiser: Organiza: Meles y Parque Regional de Sierra Espuña. Colabora: Grupo GEAS y Sorex. 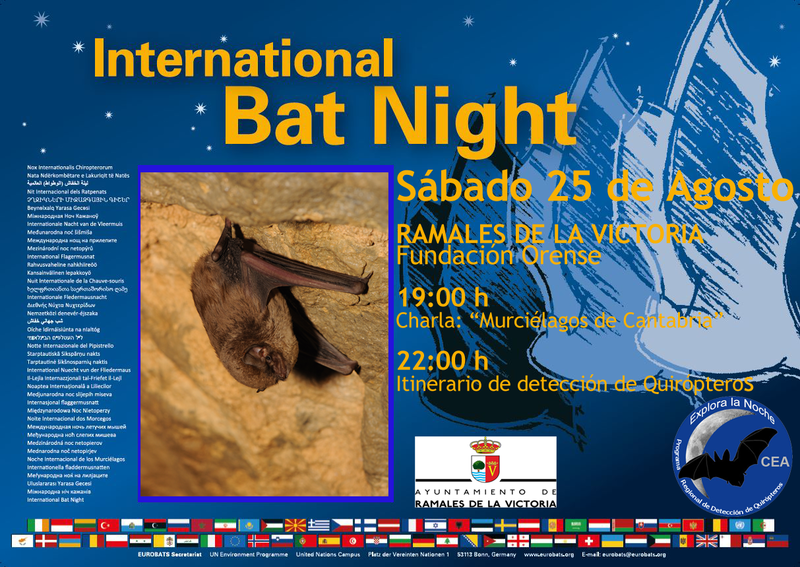 Conference "Bats of the Strait of Gibraltar", by Dr. Alejandro Onrubia, open for public, in the facilities of Migres Foundation in CIMA, Tarifa (Cadiz, Spain). 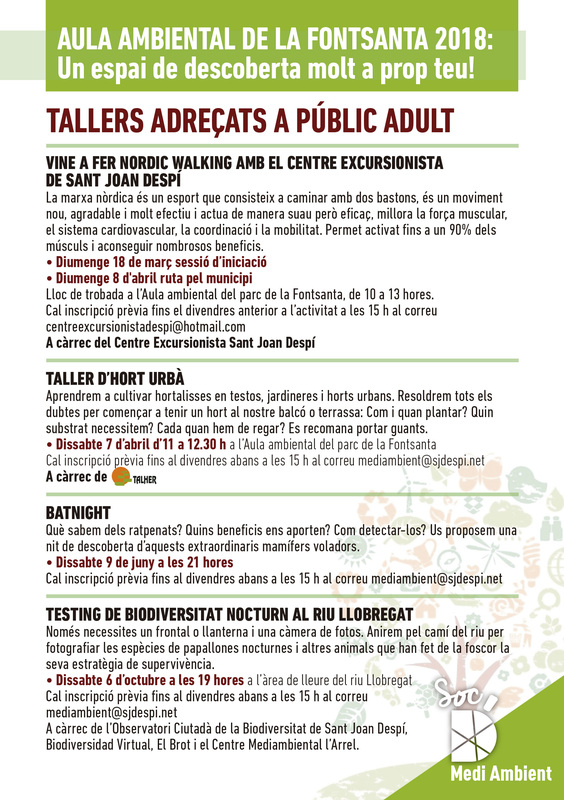 After that, a night walk through the Natural Park El Estrecho, with headlights and bat-detectors to introduce to the people different species that live in the natural park as well as their biology and conservation issues. Conference "Bats of the Strait of Gibraltar", by María del Mar Salguero Pérez, open for public, in the facilities of Zoobotánico Jerez, Jerez de la Frontera (Cadiz, Spain). After that, a night walk through the park and a coordinate census of the colony of Nyctalus lasiopterus that lives in the zoo. Environmental education activity to raise awareness among citizens to conserve bat populations. 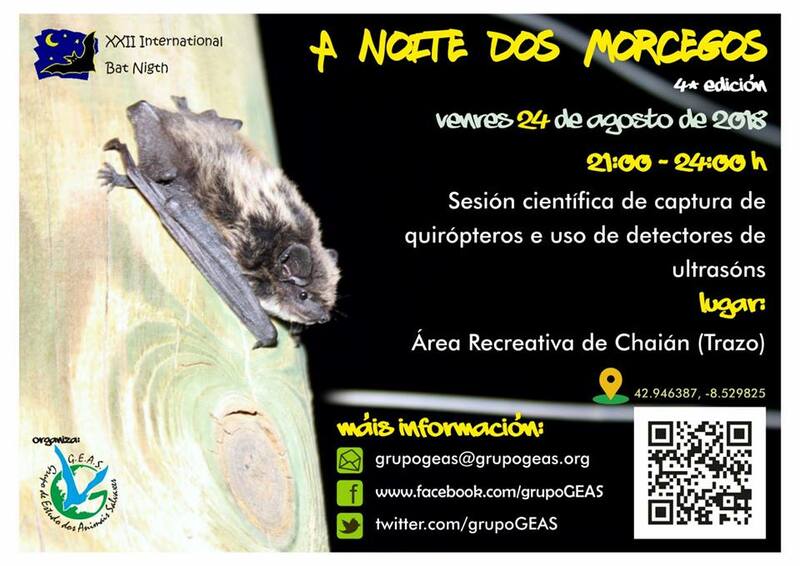 The activity was composed of a presentation, the construction of bat shelters and the detection of bats with the help of ultrasound equipment.